Awesome floor plan offered by 2018 Parade of Homes, winning builder! 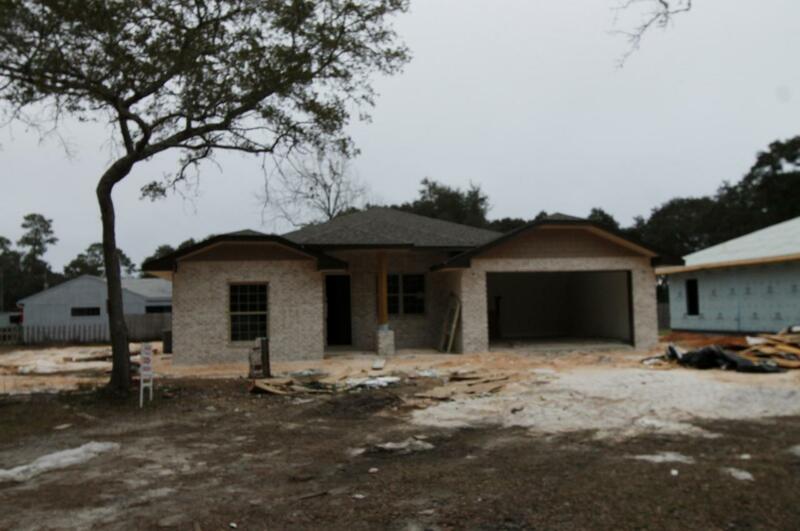 This 4/3 custom brick home has super curb appeal, and is being constructed on large lot. There are 10 Ft. Ceilings w/ impressive crown molding, tile flooring throughout the main living and wet areas, and 5 1/4'' baseboard, throughout. As you enter the home through the covered front porch, the formal dining room is on your right. As you continue down the hallway, you will then enter the chef's delight kitchen which boasts custom maple cabinetry, granite countertops, 2 large pantry's, and stainless appliances (including an oversized commercial grade frig./freezer).This plan is a split bedroom where bedrooms 1 - 3 and baths 1 and 2, are located at the left of the home. The master suite is in the rear of the home, is very roomy, has 2 large walk - in closets, a walk - in shower with glass enclosure, a whirlpool garden tub, a double vanity, and a linen closet. The laundry room is conveniently located at the rear of the kitchen. The greatroom is located at the front of the kitchen and opens to a covered porch, which is perfect for entertaining. The will be beautifully landscaped, have a privacy fence, and comes complete w/ a sprinkler system, well and timer. Insurance will be very reasonable, as home is built to today's code. Completion is expected in mid. March, 2019.